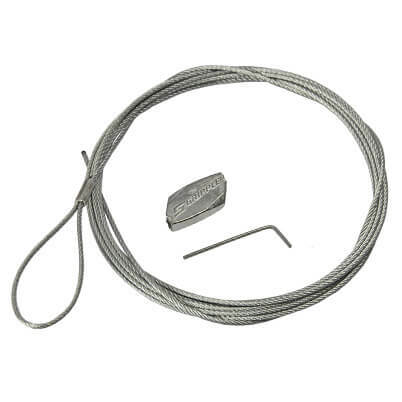 Gripple Loop and Standard Hanger wire rope kit. Up to 325kg safe working load. Ready to use kits supplied as packs of 10 in a choice of lengths for quick and easy installation. Gripple loop end kits can be used to suspend a variety of mechanical, electrical, HVAC and lighting services from different substrates. 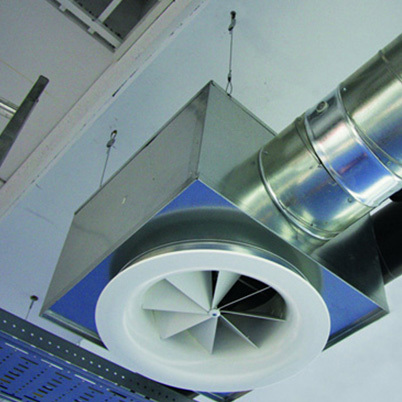 Perfect for looping around purlins, beams, roof trusses and other building accessible features. Up to 6 times faster than traditional hanging systems. No need for nuts, bolts, clamps or other accessories. Strong, safe and industry approved with a 5:1 safety factor. 10 x Gripple Standard Hanger Fasteners. 10 x Galvanised Wire Rope with Pre-crimped Loop. What Size Gripple Do I Need? Weight per metre x distance between hangers. Minimum standard hanger size required would be No.2 Gripple. 1. 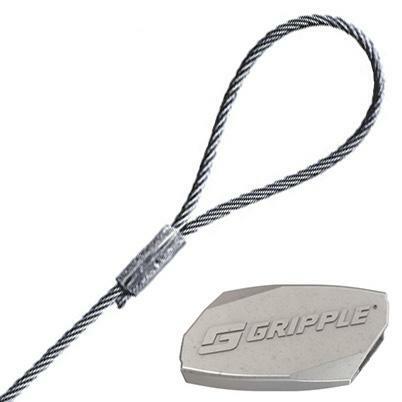 Simply pass the end of your wire rope through the Gripple hanger. 2. Loop wire rope back on itself and pass back through the hanger fitting. 3. Pull on the wire rope end to tighten, ensure a minimum of 75mm of tail wire exits the hanger. To adjust or remove your Gripple, insert the setting key to release the wire rope locking wedge. Gripple Hanger and Wire Rope Loop assemblies are designed and manufactured in the UK.